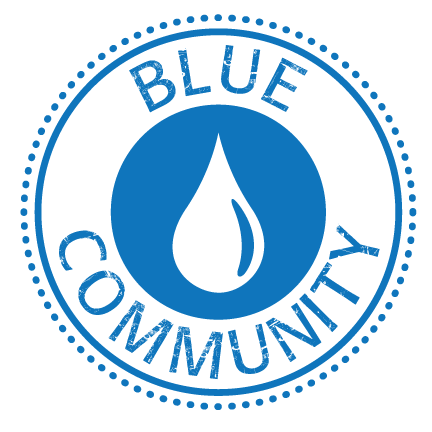 The Blue Planet Project works in collaboration with communities and groups around the world to protect the water commons and promote water as a human right. In May, activists in Detroit approached Blue Planet Project founder Maude Barlow about families who were having their water shut off because they could not pay their water bills. After visiting Detroit and hearing firsthand from people struggling to keep water running in their homes, Maude Barlow and the Blue Planet Project joined with the Detroit People’s Water Board, the Michigan Welfare Rights Organization, and Food & Water Watch to make a formal complaint to the United Nations regarding these human rights violations. When the story broke, the media interest was overwhelming. Reports ran in Al Jazeera, the New York Times, the CBC, Vice media, Democracy Now, and many other media outlets. We are also touched by the flood of emails, tweets and facebook messages we are receiving from people around the world who are concerned about what is happening in Detroit. 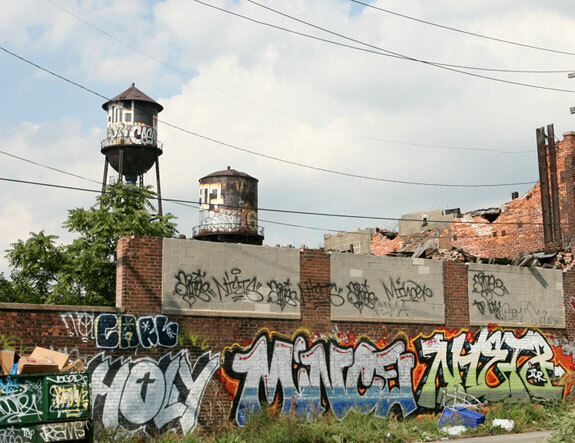 Why are water shut-offs in Detroit human rights violations? As noted by Caterina de Albuquerque, the Special Rapporteur on the Human Right to Safe Drinking Water and Sanitation, people cannot be cut off from their water and sanitation services because they can’t afford to pay their bill. The median household income in Detroit is $25,193. According to the Michigan Welfare Rights Organization, a family of four pays between $150-200 per month for water and sewerage services, which can represent up to 20 per cent of their monthly income. This is an exorbitant rate for lower income households in Detroit. Governments have a duty to make basic services such as water and sanitation accessible to all without discrimination. What is happening in Detroit is a case of the federal and state governments failing to ensure sustainable public funding for the water and sewerage services. How should Detroit’s water and sewerage services be funded if people refuse to pay? Public financing through progressive taxation is the only sustainable way to ensure equitable water and sanitation services for all. The failure to do so results in negative public health, social and economic impacts for everyone. To transfer the growing gaps in public funding to users at an increasingly unaffordable rate means poor people pay a much greater share of their earnings to keep these services going for everyone. 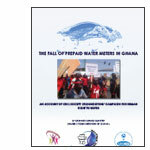 The utility’s claims that the cut-offs have been successful in getting people to pay their bills doesn’t take into account the tremendous sacrifices people are making to pay for water and sanitation. Why did we approach the United Nations? Despite some alarmist blogs out there, the UN cannot force the U.S. government to take action. Several UN experts have confirmed these water shut-offs violate people’s right to water and sanitation. The United States, like all other countries is reviewed every three years for its human rights record and has a responsibility to answer to international concerns about human rights violations. Establishing what is happening in Detroit as a human rights violation would be useful in supporting a legal challenge should impacted individuals choose to take that route. Water towers at an abandoned factory in Detroit, MI. Photo by Jessica Lundgren, CC-BY-2.0, cropped from the original. There have been water shut-offs in my community, what should I do? In order to assist in this process, the Blue Planet Project will be hosting a webinar on human rights violations and strategies to address them. Please stay tuned for further details and keep us informed of your efforts. The Detroit People’s Water Board and its allies are appealing to local authorities to start the affordability program that was adopted by the city in 2006, but never implemented.Local groups are also concerned about closed door talks where mediators are determining the future of Detroit’s water and sewerage utility. We have worked together to prepare a statement that calls on mediators to respect the human right to water and public trust doctrine, and to make the talks more transparent and accountable to the people of Detroit. Getting the State and federal authorities involved. The Blue Planet Project supports Food & Water Watch and other U.S. groups that are calling for immediate intervention by the U.S. and Michigan State governments.Both the U.S. government and the State of Michigan have a duty to towards the people of Detroit. Congressman John Conyers has issued a statement demanding that the U.S. government make funds available to address the water crisis immediately. Send a message to U.S. President Barack Obama and Michigan’s Governor Rick Snyder asking them to take action on behalf of the people of Detroit. We have been receiving many e-mails from people who want to donate money. The Blue Planet Project has made a donation to the Michigan Welfare Rights Organization (MWRO), which represents and supports Michigan’s most vulnerable populations. They have been on the frontlines of the struggle and have been engaged in advocacy and direct support for families dealing with the water crisis. Please consider a donation to the MWRO to support their tireless efforts towards a long-term solution for the people of Detroit.